Kaba Mas is proud to announce the newly designed X-10 - the secure tradition continues. With nearly one million sold, the Kaba Mas X-0 series is the choice for securing the Government's most sensitive material. The X-10 was designed and developed as a direct result of the latest revision to federal specification FF-L-2740 (now Revision "B"). This is the US Government's highest security standard for container locks and doors. The X-10 is the approved lock for Style 1 applications. The X-10 is approved by the GSA for use on approved Class 5 and Class 6 Filing Cabinets and Class 5 Security Vault Doors. The X-10 is self-powered using green PowerStar technology. Simply rotate the dial to power up the lock and enter the combination. Intuitive, visual controls guide the operator through programming and audit features. The X-10 provides all the benefits of high-security electronic locking while maintaining the reliability of a mechanical lock, independent of batteries or outside power sources. A unique, standard feature of each X-10 manufactured after March 25th, 2014 is the new backlit LCD. With a simple turn of the dial, the screen illuminates, eliminating the need for external light sources when locks are installed in poorly lit storage areas. The backlit display X-10 is GSA approved and utilizes all of the existing part numbers. X-10 Combination Lock for GSA approved security containers and GSA aproved vault doors. 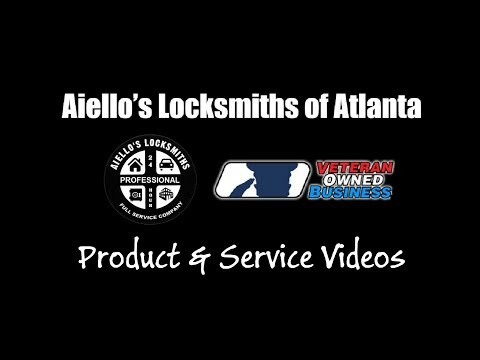 Mark Aiello, owner of this locksmith company is Kaba X-10 Certified. This certification course provides in-depth training for installation, operation and programming of the X-10 lock and presents the differences between it and the X-09. I was taught how to install the X-10, set up the lock in various modes of operation, change combinations, recognize and clear error conditions in the lock, auditing procedures, and basic troubleshooting. During the programming section, students will operate the lock in single, dual, and supervisor/subordinate modes. All tools are provided and students receive a training workbook and product manuals. The Kaba Mas CDX-10 consists of an X-10 high security lock, Federal Specification FF-L-2740B , mounted on a deadbolt base plate. The base plate is surface-mounted to the inside face of the door. The deadbolt base plate has two essential features. First, it provides a means of latching the bolt in the retracted position. This prevents the bolt from being inadvertently extended. Second, turning the knob on the base plate will retract the bolt to allow egress. The Kaba Mas CDX-10 was approved by GSA to meet requirements of Federal Specification FF-L-2890B, Type VI. I found an easy way to pull the LOBC Pin on the back of an Kaba-Mas X-09 Series lock. This tool from Lockmasters is a quick way to pull the LOBC pin so you can remove the lock cover from the back of the lock, so you can service or lock removal.The Pin Puller is attached to the pin - creating outward pressure. Both hands are now free to dial the combination. When the correct combination is dialed and the bolt is being retraced, the Tool will pull the pin to the correct location. This pin puller can be used with the "LKM1175" X-0 Cover Removal Tool to remove the back cover from the from these locks in the hard to reach hard plate boxes.